Yes you can make money online IF you really learn what works and avoid what doesn’t – and THAT is not as easily done as one would hope. Since I have been studying how to make money online since 1994 and making a living totally online since 2000 I know who is the real deal and who just writes about making money. The resources I’ve found the most valuable are linked below. NEW: Since this post was written Andrew Rondeau came out with the Income Blogging Guide course that is so good that even I and Kristi Hines of Kikolani are taking it ourselves. We highly recommend it over the others I’ve written about in the past. I recommend you check out several, select ONE that offers an ebook, email training or video/email training, and dedicate yourself to going through their process. IMPORTANT: Focus on IMPLEMENTING what just one teaches! AffiliateBlogOnline compared five of the top ten bloggers and charted some very interesting Common Features of a Successful Blog that can provide some background. Then check out the bloggers / Web site owners below who make substantial money online and – more important for you – are good at teaching what they’re doing well. ProBlogger – (ProBlogger) – Darren Rowse is possibly the most famous Blogger and purported to make the most money online. Learn more in this excellent Problogger interview from BloggingWithoutaBlog. Darren offers a ProBlogger community forum, the book ProBlogger: Blogging Your Way to a Six-Figure Income, and the 31 Days to Build a Better Blog workbook. CopyBlogger – (CopyBlogger) – best blog for persuasive copywriting and more on how to make money. Also read and apply his exceptional free ebook Authority Rules: The Ten Rock Solid Elements of Effective Online Marketing. Remarkablogger – (Remarkablogger) – Free How to Start a Business Blog workbook: Step-by-step guide with exercises to help you plan, set-up, and create content for a business blog. There is a free Make Money Online ebook download on the top right corner of John’s site. This link goes to his Make Money Online page which lists all of the ad networks and affiliate programs he uses to make money online – but be careful of gray to black methods that could get you banned! FresheVenture – (FresheVenture) – The speed Keller’s new sites growing grabbed my attention. She offers an easy to understand free ebook guide Fresh Start for Your Online Business. Yaro Starek (Taught FresheVenture and many more) – Start with the free video tutorials and ebooks at BecomeABlogger and BlogMasterMind. Also see the Podcast video interviews of Yaro published by FresheVenture. Thirty Day Challenge – (30dc) – Free thirty day series (videos and text) on how to make money online. It does offer some tools that cost money but often it is worth spending money to save time and work more productively. MattLaClear – (mattlaclear) – Matt has 800+ money-making sites (not primarily blogs) and a multiple six figure income. He is an expert on the use of autoresponders and mailing lists which is key to making money online. He offers an Online Gold Training System and is extremely active in his STA.RTUP.BIZ network blog where he shares quality content including 160 free ebooks. Grant Griffith of Blog for Profit offers Building a Successful Blog and 28 Days to Build a Successful Blog processes starting with defining your Goals through how to use Social Networking and other traffic increasing methods. If you’re really ambitious you might want to add his methods to any of the above. Take the time to check out the above offerings then select the one that most appeals to you and dedicate the time required to APPLY what they teach. You must have confidence that they know what they’re doing and that you can replicate it. If you skip steps or ignore things because you don’t think they’re important you are very likely to go astray so unless you’re already an expert trust that there is a very good reason for every single thing they teach. Don’t torpedo your results by ignoring anything. Once you’ve been blogging a while be sure to watch for these Five Ways to Know if Your Blog is on the Right Track and keep working to increase your visibility and incoming links. We will have a tracking process available here soon to assist you in making sure you consistently focus on the tasks that grow your blog most efficiently. My apologies to whomever I may have forgotten; there are many but these are the strongest off the top of my head. I created this post on the fly based on an answer I just posted elsewhere. Do let me know in the comments or elsewhere who I’ve missed and I will update this post. I continually make improvements, additions and corrections to my posts so they stay current. This why I do not post as often as other bloggers – I prefer providing reference resources over breaking news. For those who are still waiting I want you to know that research continues for my much-anticipated post on the best way to post to multiple social networking sites efficiently. It is getting closer to completion each day. WordPress Howto Spotter – (thespotter) – How to Build a Web 2.0 Site Using WordPress – Offers a Free Expert WordPress video on creating hacker proof, search engine optimized, traffic generating WordPress installs and a free downloadable blog installer. We write often about the differences between most blogs and a highly optimized blog. Read How to Build a Successful Blog Based Business for details. You may want to have someone else handle the technical details of getting your site up and running so you can focus on creating content. That post contains details and contact information for doing just that. If you use StumbleUpon we would really appreciate your sharing this post there. If you don’t already have a StumbleUpon account nothing will be as important to growing traffic to your blog or business so why not open a StumbleUpon account and/or download the StumbleUpon Toolbar today? As a thank you to anyone taking the time to recommend our posts or share them on any Social Networking site be assured that we reciprocate. Share us anywhere and we will share your best content at Twitter, StumbleUpon, Facebook, FriendFeed and Delicious and will be expanding to Digg, Reddit and many other sites. We also take time to mention those who cross our path wherever we travel online – and we are almost always online. HELPFUL TIP: Use the tag function at Delicious or StumbleUpon to save posts for future reference or to organize your research. A tag is simply a word or phrase to help you find a web page again. You might save this post under blogging or how-to-blog or make-money-blogging or make-money-online. StumbleUpon allows you to use up to five tags. If you don’t use StumbleUpon I strongly suggest you start. They send more traffic over a longer period of time than any other Social Networking site. Ive seen a few guys make money that have helped me alot. They have different websites both affiliate and their own product based sites. Blogs can be difficult to run as well depending on what type you run. Besides writing posts, you may be doing the backlinking as well as creating products for it as well. It can be just as much work as running a traditional business. 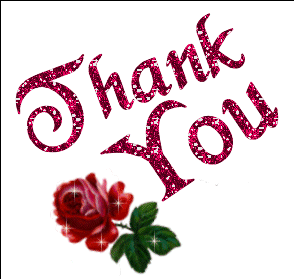 thank you very much, your site is very usefull for blogger like me who still earn several dollars a day. Great website and a lot of really good information. My website is about making money through affiliate marketing and helping others do the same. 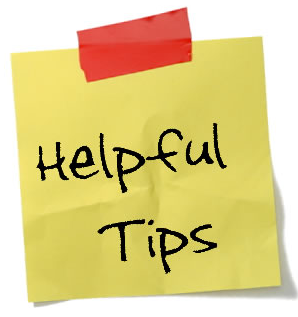 The advice you give is right on, what not to do (doesn’t work) is every bit as important as what to do (does work). You forgot one important resource for that list… yourself! While this blog may not directly teach people how to make money online, it is certainly a huge wealth of knowledge and inspiration. I just found you last night and I am a bit overwhelmed by the amount of great information you are taking the time to share. I am new to blogging but have been making a living with internet related endeavors for a few years now – there is Always more to learn even for the pros, and the difference between making a living and that legendary 6-7 figure income is best achieved by mentoring with those that have done it. .-= Chris@Earth Friendly Goodies´s last blog ..BPA Free Dishes for Kids – Unbreakable and Tough as Nails =-. Thank you for noticing. 🙂 While I do make some money online I am definitely not nearly as effective at it nor am I doing what I already know I should be doing because my priority has always been for helping others. I do have to focus more on it and if you read the discussion just above your comment that starts here you’ll know how I will be doing it. My focus is on keeping small businesses from failing due to the economic downturn. That is made possible by the support of two high quality businesses owned by very good-hearted people that I work with every day. What they pay me has made all my research and posting possible and benefits them and everyone else too. If it weren’t for them much of what is available here would not exist because I would not have had the time to do the research I share here. Because of them hundreds of other businesses will survive. I hope anyone reading this who can use their services will do so. Pete Ekizian, owner of my favorite online personalized gifts store Executive Gift Shoppe. Bill Sutton, owner of Good Millwork whose Florida mill supports sixteen families. Both of these men are highly ethical, brilliant and keep me constantly researching and learning. Without their support I would know far less and teach what I learn less effectively. I use their businesses often in my examples and you can find links to them on my disclosure page and a 125 x 125 image for Executive Gift Shoppe in my left sidebar (sidebar is what WordPress calls column). Please support them whenever you can – they ARE good people. .-= growmap´s featured blog ..Affiliate Tips Tuesday: Holiday Promotions =-. Well, your altruistic efforts are greatly appreciated, may your efforts for others return to you many times over. (That sounds like a fortune cookie) Good luck with your Income Blogging Guide adventure. It looks like they have some very enticing information – I just wish I had more time to devote to blogging (commenting it seems is my form of procrastination) With other “real” work to to do on the computer I’m afraid my blogs are feeling rather unloved recently. .-= Chris@unbreakable dishes´s featured blog ..How to Green Your Car with a Re-Useable K & N Air Filter =-. .-= Udegbunam Chukwudi | StrictlyOnlineBiz´s last blog ..Nigerians It’s Time We Forget About Paid Online Surveys =-. I have to disagree with you because making money blogging is far more complicated than most will ever know. You can only find answers to questions you know to ask – and THAT is the number one reason following the process developed by someone else is key to your success. This is a definite case of do as I say and not as I did because although I have been making money online since the mid-1990s I have never made it a major focus and make less now than I did with my old static site. That is all going to change though because come July Kikolani and I are both going to subscribe to Andrew Rondeau’s Income Blogging Guide and I will be updating this post when time allows to explain why. The short version is that I trust Andrew. He is more interested in making a living ethically than many who offer this type of information. .-= Gail @ Make Money Blogging´s featured blog ..Father’s Day Word of Mouth Gift Card Giveaway =-. You do have a point but then it all depends on if the person whose “advice” you’re following to the letter is quite on track. I’ve done the whole do I say thingy and believe me you, I came out disappointed. I’m even somewhat of grateful that I didn’t spend plenty to learn nothing. BTW I’ve got a copy of Andrew Rondeau’s Income Blogging Guide FREE REPORT and it’s the MOST AMAZING free report I’ve come across in recent times. I even recommend it to my readers. Best of luck with the subscription. Awaiting your reviews. .-= Udegbunam Chukwudi | StrictlyOnlineBiz´s featured blog ..Make Your Blog 10x Faster With W3 Total Cache Plug-in =-. Yes, knowing who to believe is exactly why I did this research and shared what I knew about it. While you always learn something, the major drawback of most ebooks, courses and membership sites is that they are big on the WHAT but not so clear on the HOW. That is the need that Andrew set out to fill. His course is step-by-step how-to do it. For example, he doesn’t just say install All-in-one-SEO plugin. He tells you where to get it, how to download and install it, how to configure it and how to use it. That is what we all need – precisely HOW to do something. I have know for over 16 years that I needed to build a list and for at least a year that AWeber is the best solution to use but I still do not know how to actually make that happen myself. With Andrew’s course now I will and I can finally make it happen. THAT is why I have no doubt that his is THE one worth paying for and Kikolani and I have already decided we’re both going to buy it and work through it together. Read her recent Income Blogging Guide review for more details on the course. I hope that my readers and hers both realize that by buying through an affiliate link (hers or mine or anyone else’s who has provided you with valuable information) you enable them to share more. I ask that anyone reading this use my Income Blogging Guide affiliate link or Kristi’s or the affiliate link of whichever blogger has done the most for you. Doing that allows us to afford tools like membership in the Income Blogging Guide and write even more valuable information for you. We invest our time and knowledge so you know what is worth buying and what is a waste of money and get the most out of whatever you do. I invite anyone interested in collaborating to join when we do and connect with us. If you have the time and money to do it now – don’t wait! You’ll be making more money before we are! Do share with us what you find most valuable in the course. .-= growmap´s featured blog ..Affiliate Tips Tuesday: Three Ethical Affiliate Marketing Experts I Trust =-. A great list with resources for bloggers. I am not a beginner but your post and a part of these links are fantastic. Thank you for suggestion ! Thanks a lot for helping us with such an informative post. I just went through this post and followed a few offerings discussed in the post and found them very helpful. I strongly believe that one can earn a good amount of money on internet if he knows how to do his work in this global village. .-= Brian@portable laser printer´s last blog ..The proper way to connect a Wireless Printer =-. I am new to Blogging, only started about three months ago. I must say that blogging is something that people need to learn how to do effectively, but is a great resource to make a few extra dollars online. Looking forward to following your blog posts. Great information. I was very happy that I found this site. I wanted to thank you for this great information!! I definitely enjoyed every bit of it and I have you bookmarked your blog to check out the new stuff you post in the future. .-= jinnie@uk phone deals´s last blog ..£55 voucher code for Samsung Genio Qwerty =-. One of my biggest challenges in making money online is focusing on one project and getting enough content in it and backlinks to it. Instead, I keep on thinking up newer and better ideas and jumping toward each “bright shiny object” that seems better than what I had been doing. I find that what I need to do is step back, relax, breathe deeply and try to remain focused on my primary goal. .-= Helen @ Lemonade Cleanse Recipe´s last blog ..Lemonade Diet Cleanse Tips =-. .-= Chris@Natural Health Goodies´s last blog ..Spring is Calling and So is My Square Foot Garden =-. This is really a great post about the particular topic and i am really impressed to know about it. I have read your full article and truly speaking that it was really very knowledgeable and very interesting. I think you are really very close on your points. Anyways keep it up and keep continue with your valuable thoughts. In the near upcoming future. Great article. Although you are correct it is difficult to break into this market, I believe the biggest problem is that most people don’t know enough of the fundamentals to make an impact anyway. we need to find those untapped niches or focus on the long tail to carve out our little slice of a certain market. .-= oliviya@fatcow hosting reviews´s last blog ..Free $25 Abes of Maine Gift Card. =-. A blog with current information and regular updates, especially one built with WordPress is going to get much better rankings in the search engines than a plain business site with static data and contact information. Its pretty difficult to run a business but In my opinion a blog is a wonderful way to create money and increase income as well. I just wanted to mention one affiliate training site I particularly like.www.affilorama.com,they offer tons of information free,it will be helpful to anyone who want to make money online. This is a great comprehensive lists of places to begin…and perhaps end. There is no need to recreate the wheel as people can find out from these many sources who makes money blogging. It is STILL possible for sure but it takes more effort than say 10 years ago. After reviewing all of these locations, people can then find their own niche using the techniques that they have learned from others. It is important for people to note that it takes TIME. I think you have to dedicate a 3 year window to really develop your plans…quick gimmicks do not work. Great pages with an audience that builds up over time is the best way to go! .-= Richard@How To Videos´s last blog ..How To Make Money On eBay =-. actually done it is the very best way to make it happen. I sincerely hope anyone reading this takes my advice to heart. Even people who work full time online find it very challenging to make enough money to live on. It is almost impossible to accidentally figure it out. I’d love to chat with you about your site – it has HUGE potential for you and small businesses and bloggers alike. I want to know more about what you offer now and have many suggestions for you. .-= GrowMap´s last blog ..How to Use TipTop for Real Time Market Research =-. It’s difficult to run a business with this crisis, but we cannot give up, otherwise the crisis will win the struggle I think it’s worth to keep working and try the run the business normally and hope we will get over this situation soon. Being famous is not a good reason to believe someone. Those who are familiar with how to make money bloggers will note that there are some notable famous folks absent from this page. Not all famous folk have your best interests at heart and not all bloggers become famous because they tell the truth. There may be other honest bloggers in this space that I missed so don’t assume that not being included proves someone is deceptive. I shared these specific people because they ARE successful and I am not aware of anything they teach that is intentionally misleading or dishonest. .-= GrowMap´s last blog ..Tools Wanted for Power Bloggers, Social Networkers =-. It can be but it isn’t all that easy which is why I recommend that those who sincerely want (or need) to make money learn from those who already know what works best. We all have limited time and resources so making what really works your priority will get you to a good income much faster than learning it yourself. Thanks for the excellent article, this has given me so much inspiration. me too want to be a part of this money making thanks to you for sharing your wisdom. you have mentioned some wonderful resources here ,i will definitely follow them and will get some money from it. i have clicked on that button now i am following them on twitter, thanks! and i hope it will get me some traffic and money. .-= ami@black friday ads 2009´s last blog ..2009 Cyber Monday Ads, Sales, Deals Specials =-. It is not that simple. Twitter may get you some traffic but it takes far more to turn that traffic into money. yes. I already read that book from Darren Rowse Problogger and I learned a lot from there. It inspires me to do blogging. Yes, Darren is considered “the” Problogger for a reason – he does share exceptional resources continually. .-= GrowMap´s last blog ..Are You Playing Hide and Seek With Your Market? =-. excellent posts. I am not really into creating blogs, as I am with regular web sites with low maintenance, but I have found my reading material for this weekend. I guess it is never too late to get into a different aspect of making money. Thanks. Most strategies that work for bloggers also work on static sites so I’m sure you’ll benefit greatly from these resources. really a great site i always got very informative.well first of all i would like to say thanks to you for posting this wonderful information its very informative money blogging resources are very useful for those who do not have any work but still they want to earn money “by hook or by crook”. Money blogging resources are very useful for a man who don’t have any work to do because these resources make money day by day and post by post. This very great list of money blogging resource. Thank you so much that this can very help me to find some resource that I haven’t known before. Some of them give us new information that better than the others. Hope your site can give more list resource not only bout money blogging like this. .-= Serunya Belajar SEO´s last blog ..Belajar SEO Online =-. I recommend starting with the free ebook and videos from Yaro Starek. 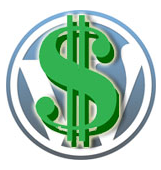 They are the fast, clear way to understand how most blogs make money. i have earned a lot from adsense and i suggest that adsense really works great for revenue generation and for online income as well. Although AdSense does not pay as well as it once did – which it should since bid costs have only gone up – there are many who make money with it today. It is probably the easiest path but not the best one. Google can and does cancel AdSense accounts so that income can suddenly disappear. If you are relying on it alone it would be a great idea to diversify and learn to monetize in other ways. Your store has many fine attributes. You may be interested in reading my last post on evaluating affiliate programs because it explains what types of upgrades increase conversions in ecommerce stores. .-= Internet Strategist @GrowMap´s last blog ..How to Evaluate a Merchant Gift Affiliate Program =-. In this internet world everyone wants to earn money online. So to do this money making blogs are really nice options. Most people will never make money without following what someone else has developed that really works. Because I do not focus on monetization this blog which has good traffic and backlinks and is PR3 makes almost no money. I give freely and support my life in other ways. I mention this because I suspect many think making money from a blog just automatically happens. It doesn’t. You have to spend time making that happen and I have to date preferred to spend my time researching and sharing instead. If any blog benefits you financially you may want to consider intentionally supporting what they offer so they can keep doing it. .-= Internet Strategist @GrowMap´s last blog ..Social Networking is NOT Chat =-. FYI, you could always post some random article, just to let us know you’re still alive! Even if the topic is unrelated to your blog, the regular readers won’t mind occasional random babble about anything you wanna tell us about. Trust me, your readers want to get to know YOU. Some of the most successful blogs don’t even seem to have a regular topic, there’s one where the owner just goes on rants about nearly everything in a random manner. ….He can’t even stay on his blog’s topic! Yet he has thousands of readers and followers……….because he’s very amusing and honest. Bottom line: Bloggers who are real & honest, with an interesting story to tell, will succeed! Always good to see you here again. I don’t post as frequently as most successful bloggers recommend because the research behind my posts can take weeks. Just writing some of them up can take days. As soon as I complete some of these huge research projects I will make it a point to post more frequently. I have so much more in my head that I could put down in a post than is currently here. If there is ever anything specific you would like to see me share do let me know? It is true that stories are more interesting and what I post tends to be pretty “serious” stuff. I’ll be thinking about how to better share what I’ve learned by telling the stories of how I learned it. Thank you for this bit of advice. We’ll see if I am able to incorporate it into future posts and hopefully others will read it and tell some interesting stories in their own blogs. I bet you have some funny wedding related stories to tell. Wedding blooper videos are often viral so your stories could be too! Did you see that foot-stomping wedding dance video that made the rounds? Jill and Kevin (the couple getting married in the video) put it up on that Web site and are now using it to promote a good cause. .-= Internet Strategist @GrowMap´s last blog ..Local Search Directory Taps the Power of Television =-. These are fantastic resources, and I myself write freelance for blogs to make money. To me, it’s really funny because a lot of people think that you can just “start a blog” and make some money. Not true! You do need to be willing to do blog posts for free sometimes to promote yourself, but in the end, you can make it. Most new bloggers simply have no idea what is involved in creating an income from any Web site. I saw that when I managed ppc accounts for ecommerce store sites and I still see it today. They don’t realize the quest for success requires continual improvements in usability, content, how you relate to others, how you interact, getting your site listed and talked about elsewhere and so much more. Only the few who are willing to continually learn AND IMPLEMENT what works are ever going to see success. Most take a stab at it and just assume it doesn’t work because they will never get their blogs off the ground. That is why I compiled this list of resources. I know that these particular bloggers ARE making money and are willing to share what they’ve learned. Instead of spending years learning everything the hard way it is far faster to seek out those who are successful and learn from them. My next post contains similar resources for learning how to make money with affiliate programs including how to evaluate an ecommerce store to see if it is likely to convert well. great post full of excellent resources. I’m sure compiling this list took a good bit of time. Thanks for sharing. .-= Roschelle´s last blog ..I’m A Geek and Proud of It! =-. I was inspired to create this post because I see this question asked so often in my travels across the blogosphere. Every day I see offers promising to help people make money online that I know are over-promising and under-delivering and realized that most have no way to evaluate what is true and what is not. Even if you know about a blogger who is known to make money it isn’t always easy to locate their latest and best process for learning what they know. IMHO, this compilation of links to what they offer makes it easy to check them out and find the one that most speaks to each person who wants to know exactly how to make money online. I love the way you offer individual subscriptions to specific topics in your blog! I’ve wanted to do that for a long time but had not yet focused on figuring out how to do it. Now I have a model to emulate. I would love to also be able to click directly to all your posts in a particular category too though. Thank you. I could really use more Technorati juice so I’ve been making a point of adding every blog that has a Technorati button on it. I shared your latest post using a process I’m testing that allows me to write a review at StumbleUpon and then feed the review to Facebook, FriendFeed and Delicious and send an optimized Tweet to Twitter. As soon as I have that process as optimized as possible with the tools available today I will publish it here. Anyone who has input for that is invited to share it. .-= Steve@trade show guru´s last blog ..Are Trade Shows Obsolete? =-. I originally made money managing pay per click advertising – primarily AdWords accounts – at $100 per hour cash in advance by PayPal. I mention this because so many Search Engine Marketing companies and other consultants need to know that if you specialize and get results you can have a business model no one believes will work. I give away much of my time these days helping small businesses that can not afford expert advice or do not realize how important it is to know where to focus time and efforts. I greatly reduced my overhead and my current income comes primarily from consulting with two businesses who recognize that I know what I’m talking about and are willing to pay me for using what I’ve learned to grow their leads, sales, affiliate programs and Social Networking accounts. I will be moving to a blog income model on several joint venture blogs soon so this research is as much for me as for all the others who want to make money online. If I ever get caught up I may even be able to write comparisons of some of the above choices. My major goal – and not an easy one – is to generate as many sales from free traffic as I could drive using ppc advertising. This is a HUGE challenge so if anyone wants to jump in with ideas I’m all ears. Processes are everything in my experience 🙂 it is finding one that will work for you, individually is what killing many people’s chances to success. .-= Alex Sysoef´s last blog ..FTC Attacks Affiliate Bloggers =-. I hope you don’t mind my “borrowing” the image you created. It was perfect for this post and the reason I remembered to include your resources in this compilation. I think that image would make a great Avatar and logo for your site and Social Networking profiles. Although often I am very specific in my recommendations, the reason I provided so many options is to allow each person to find the style of blogger and teaching method that fits their goals best. One of the reasons I created this post is that there are many who are teaching how to make money online who truly believe they know all they need to know. The very best know they still only know 5% of all that could be known; however, they do already teach 1000% more than the average person does. I just looked at one that was based on and teaching people to use Blogger. IMHO, not using WordPress instead of Blogger is a major drawback to successful blogging. Not using a professionally designed, supported Theme is another. And there are thousands of other individual decisions that can make all the difference. Anyone serious about making money online must be serious about getting all the details right – and for that it just makes sense to listen to those who are already truly sucessful. Thankfully we have veteran bloggers who willing share their knowledge. Since it was them who lead the way, not only have they tried things and failed, but they provide others with what works. The list you’ve compiled is fantastic. P.S. Thank you for the link love. I truly appreciate it. .-= Barbara Swafford´s last blog ..Blog Your Passion =-. Thank you for making the time to come by and comment and especially for reinforcing the importance of doing what is recommended. So many will skip important steps not realizing their importance. I know you know how much of what is most important is not visible on a blog – it is what is happening behind the scenes. If you have a process that I can include on this page do please let me know. As I always do, I will be adding resources and keeping this page current. I know that many are very interested in this subject so I expect this will become a very popular post. I will be publishing an important new post on how to maximize the results from time spent on Social Networking soon. I hope you’ll try it and let me know how well it works for you.